On Sunday, November 6th, most of us in the U.S. will be turning our clocks back one hour. Just the thought of this change instills panic in parents who have just gotten their little one on that great routine! My Kids Are Sleeping…Why Cant’ I? 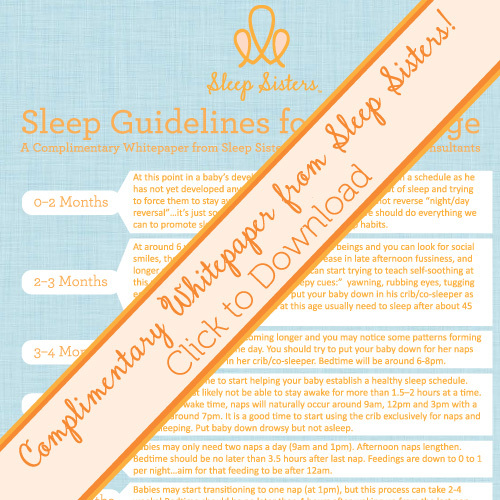 Sleep Milestones | A Complimentary Whitepaper! When is a ‘normal’ time for baby to start sleeping through the night? Should you change anything when your child starts to potty train? What can you expect at 3 months? 6 months? 8 months? There are some important sleep milestones to keep an eye out for. These serve as general sleep guidelines for children and should give you a good foundation. As Moms ourselves, we wanted to put together something simple and useful to share with all of you. 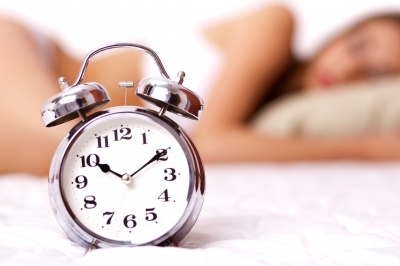 Please download our complimentary whitepaper on Sleep Milestones. It’s a PDF–just download, open and print! And please, if you found this useful, leave a comment. We’d love to hear that you enjoyed it. Babies have a biological need for sleep–Our bodies create hormones that help us fall asleep (melatonin) and ones that keep us awake (adrenaline and cortisol). We want to encourage our babies to produce these hormones at the right times…otherwise, we risk them developing “jet-lag syndrome” and become extremely overtired. Sleep Begets Sleep–When babies are overtired, they have trouble falling asleep and STAYING asleep. Although many people will tell you to “keep your baby up” so that he gets tired, the opposite is in fact true. If your baby is having trouble sleeping, it is because he is overtired. Make Sleep a Priority–Having your child get the sleep she needs is the same as making sure she’s getting enough nutrition. A child’s developing brain needs sleep to function at its best. You may have to alter your own schedule to fulfill the needs of your baby for a while. Sleep in motion is not restorative–Having your child sleep in the car or in a stroller is not the same high-quality sleep that he will get in his crib. After 3 months or so, your child should be sleeping in his crib (or co-sleeper/bed) for most of his naps and at night. A dark and cool room is the best sleep environment–Babies like to sleep in a “cave-like” environment. Don’t YOU sleep better when it’s dark? Quality beats Quantity and Timing of Sleep beats Length of Sleep–High quality sleep (motionless, without music, dark, and at the right time) is more important than how long the sleep lasts. 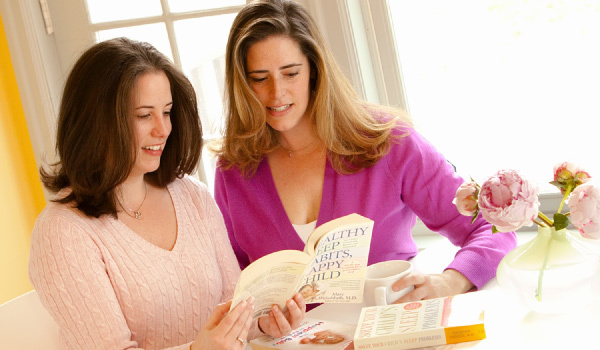 Consistency is Key–Decide on your plan as a family and stick to it. When changes have to occur (a family vacation, a holiday meal, a doctor’s appointment) it will be easier to get back on track if your routine is well-established. Questions about anything you see here? Don’t hesitate to contact us! We’d love to hear from you.